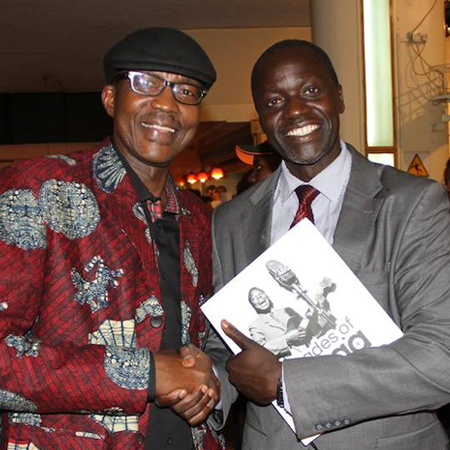 Ketebul Music Founding Director Tabu Osusa has been nominated as one of the IMC Five Music Rights Champions. 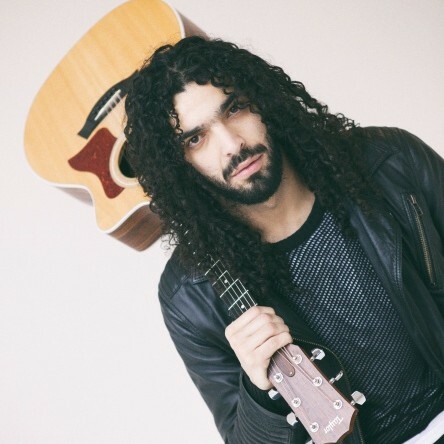 Mr Osusa was nominated alongside Dame Evelyn Glennie, a Scottish percussionist and the first person in history to successfully create and sustain a full-time career as a solo percussionist and Ramy Essam an Egyptian musician known for his appearances in Tahrir Square in Cairo during the Egyptian Revolution of 2011. 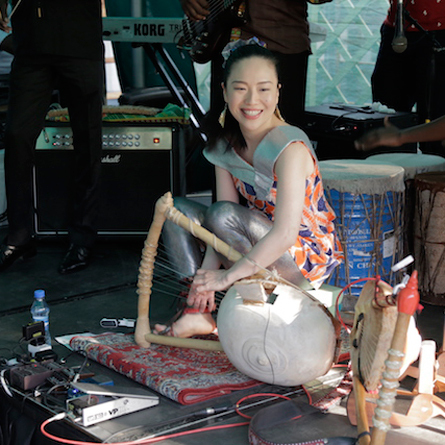 The International Music Council (IMC) was founded under the UNESCO chatter in 1949 and is the world’s leading membership-based professional organization dedicated to the promotion of the value of music in the lives of all peoples. 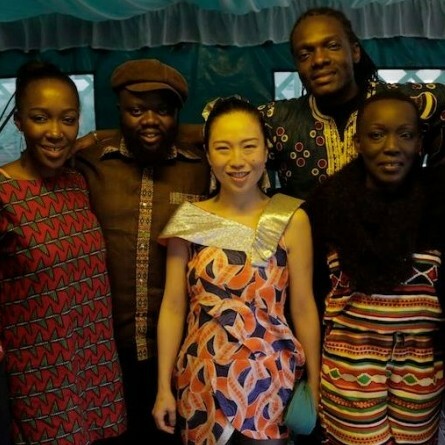 15 years after the proclamation of these rights, the IMC gives new impetus to their promotion by appointing IMC Five Music Rights Champions, with the purpose of increasing the visibility of these core values and putting them ‘on the radar’ of musicians and music-lovers around the world. 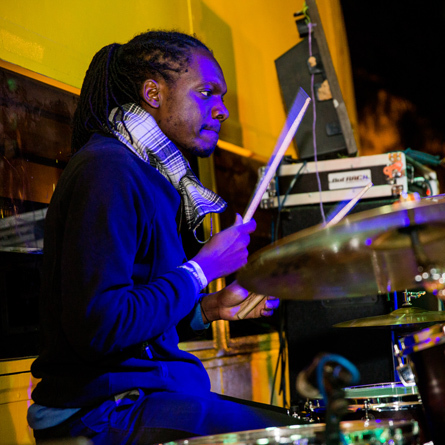 Tabu Osusa is a key player in the East African music industry. 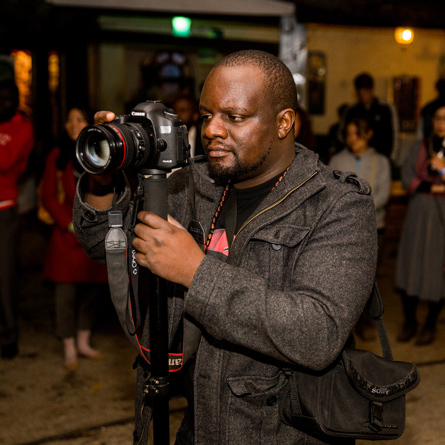 He is the Founding Executive Director of Ketebul Music and for the last 30 years has been involved in the music industry as a promoter, producer, composer and band manager. 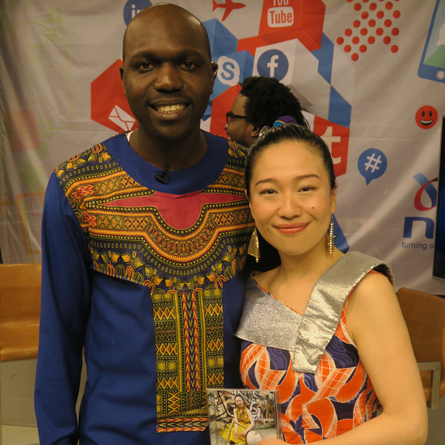 Japanese nyatiti diva, Anyango arrived in Kenya on the 19th of August 2016 on a mission to promote her new album, Anyango: The Safari of Eriko Mukoyama. 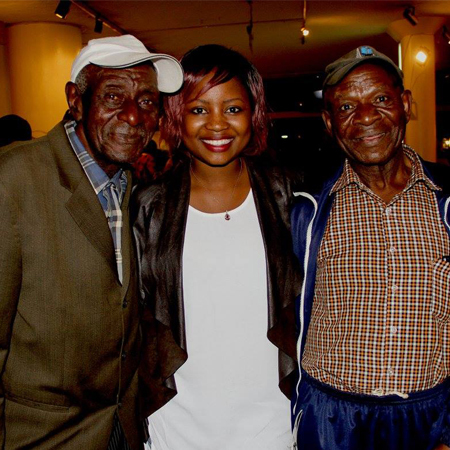 The visit entailed a number of shows in Nairobi aimed at promoting her brand new album. 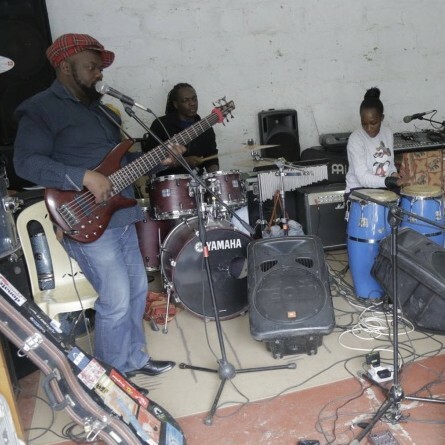 Rehearsals Day 1… A group of multi-talented musicians converged at Ketebul Music Studios to join Anyango in the first step of the journey. 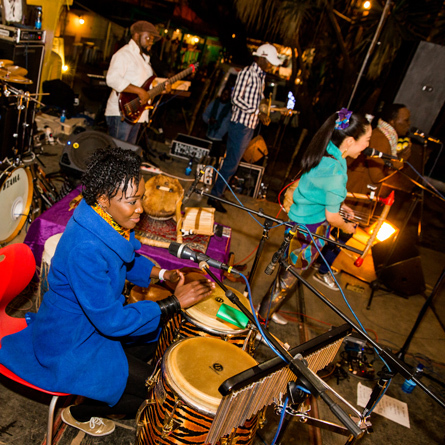 With Kasiva Mutua on percussions, Ricky Nanjero on bass guitar, Michael Okinyo on the keyboard, Gervais Katumba on drums, Boaz Jagingo playing the orutu; a single-stringed traditional instrument and background vocalist Lydia Ogoti on board… Anyango’s new band was complete! 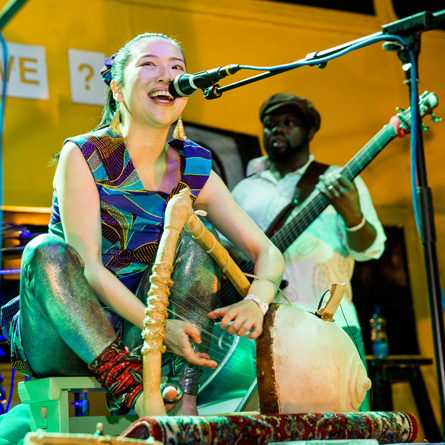 On the 25th of August Anyango had her first show at Thursday Nite Live @ Choices where she wowed the crowd with her brilliant live act. 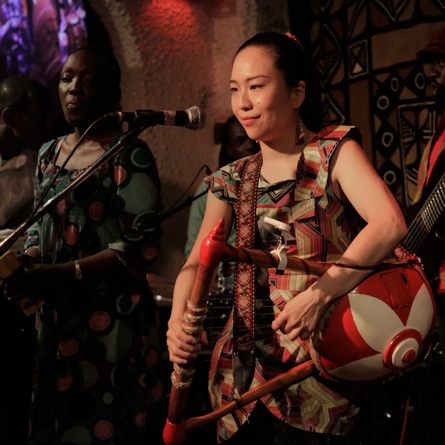 The four-hour live performance, filled with beautiful nyatiti sounds and the angelic harmonies of Anyango and her band doubled up as the official launch of Anyango’s album, Anyango: The Safari of Eriko Mukoyama. 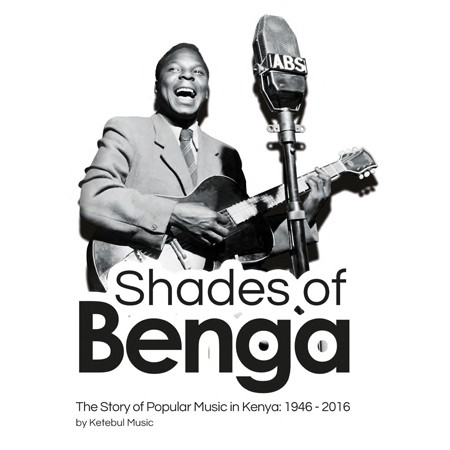 The album consists of 15 songs in total including a collaboration with Kenge Kenge Orutu System, a traditional band from Kenya. 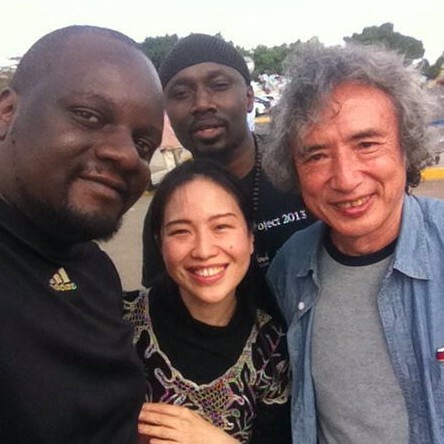 The song entitled ‘Anyango Nyar Japan Meets Kenge Kenge’ is a song Anyango wrote right after the Fukushima earthquake tragedy in Japan. It is meant to encourage the human spirit of resilience. 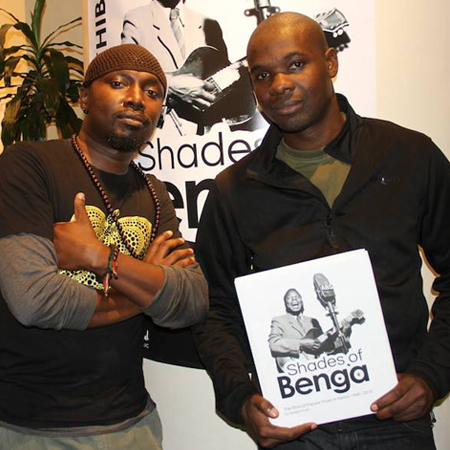 Kenge Kenge infuse a strong traditional musical element to this song, expressing the same sentiment in Dholuo; a local language from Nyanza, Kenya. 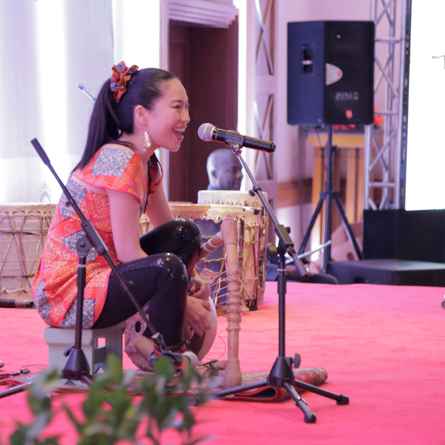 On the 26th of August Anyango performed at the Hideyo Noguchi Africa Prize Reception at The Hilton Hotel in Nairobi. The Prize is awarded to individuals with outstanding achievements in combating various infectious diseases in Africa or in establishing innovative medical service systems. It is awarded after every five years. 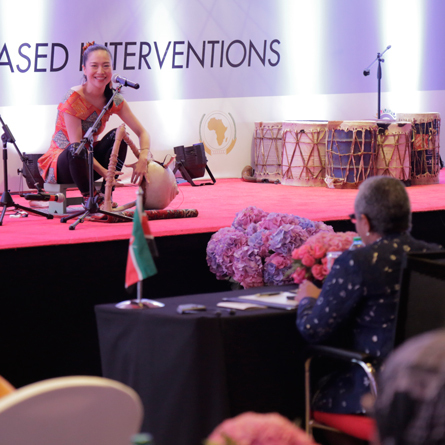 The event was hosted by H.E. 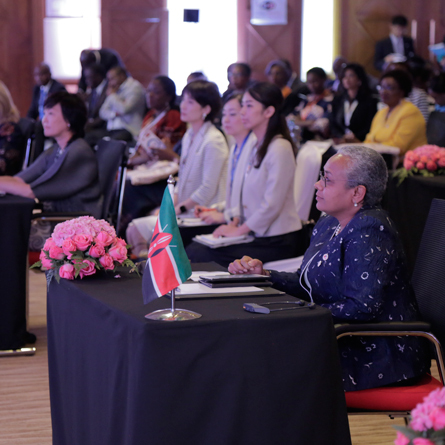 Margaret Kenyatta, First Lady of the Republic of Kenya and H.E Akie Abe, First Lady of Japan. 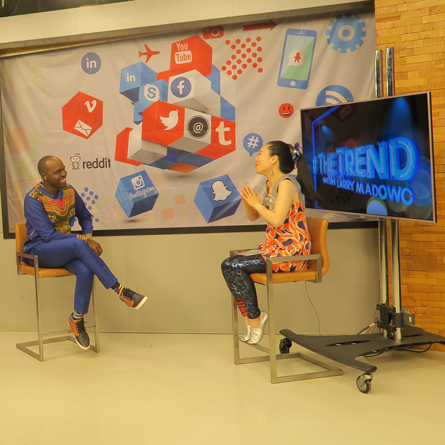 On 2nd September 2016 Anyango appeared on The Trend Live with Larry Madowo, a live entertainment television show aired every Friday on NTV Kenya. 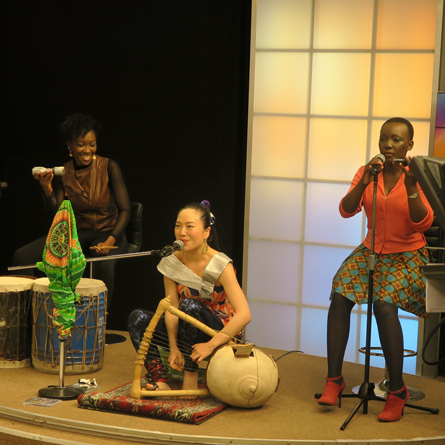 She was interviewed and did a short performance with an all-girl 3-piece band consisting of Kasiva Mutua, Lydia Ogoti and herself. 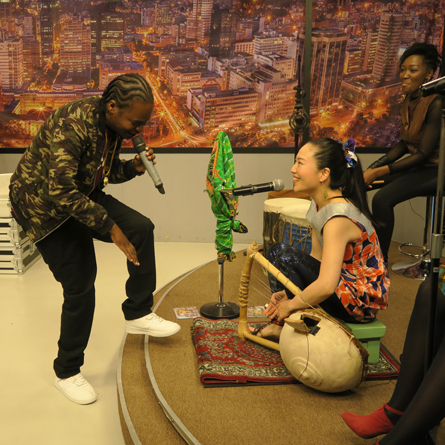 During the interview Anyango did an impromptu collaboration with Jua Cali, a renowned Kenyan hip-hop artist. 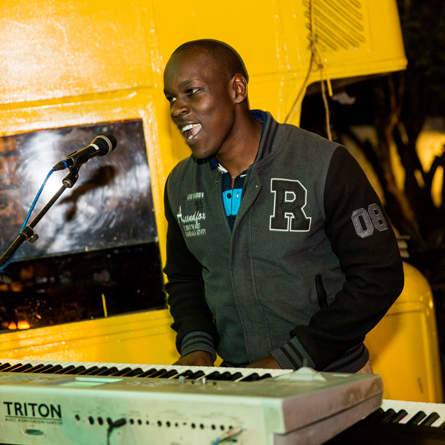 Jua Cali rapped impressively over Anyango’s nyatiti sound. 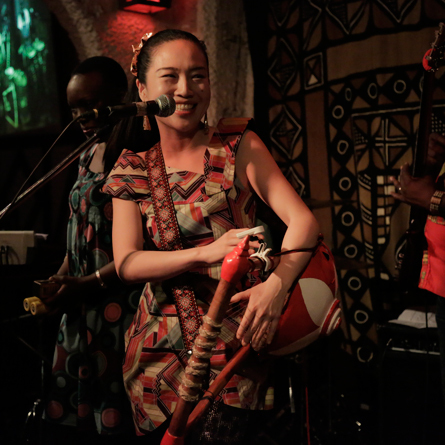 To wrap it all up Anyango,s final show was at The Alchemist, Muthurukishion 3: Strings of The East. This went down on the 3rd of September 2016. 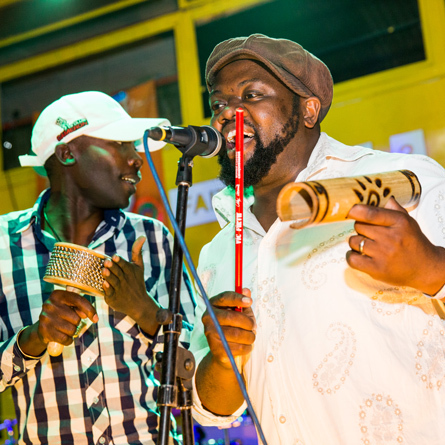 This 3rd edition of Muthurikishion featured Anyango who plays the nyatiti as well as DBass Ganun from Tanzania who plays the ganun, both string instruments from East Africa and the Middle East respectively, hence the name ‘Strings of The East’. 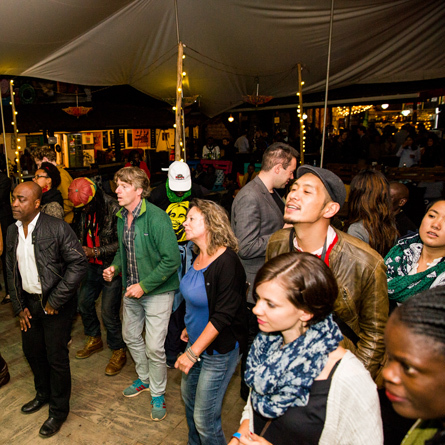 And if the music is good… You dance!!! 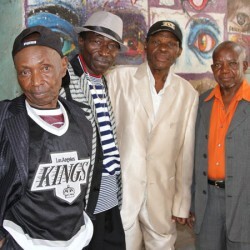 Ochestre Les Mangelepa was formed in 1976 in Kenya. 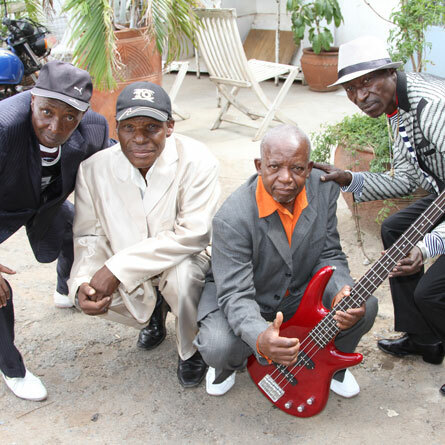 Originally hailing from Lumbumbashi in the Democratic Republic of Congo, they first came to Kenya as members of Ocherstre Baba Nationale of Baba Gaston. 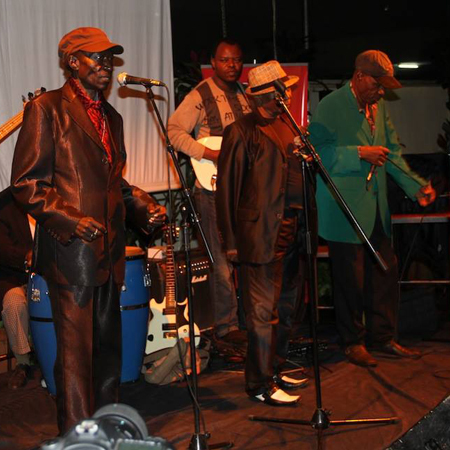 They derived their name ‘Mangelepa’ from a dance that had been invented by bandleader, Kabila wa Kabanze Evany while still in Gaston’s band. 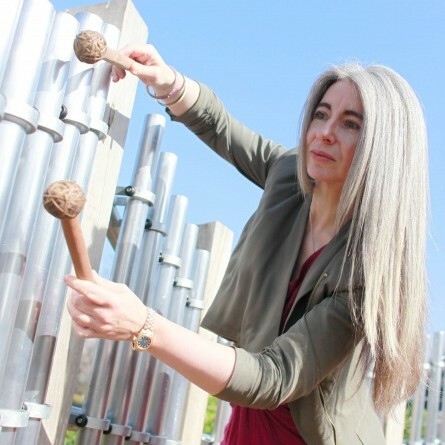 It was inspired by the French ‘Marque le pas’ (marking time). 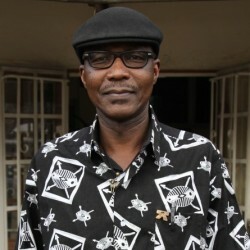 Ocherstre Baba Nationale arrived in Dar in 1972 and soon after started recording with the Tanzania Film Company and another company called Sindimba. 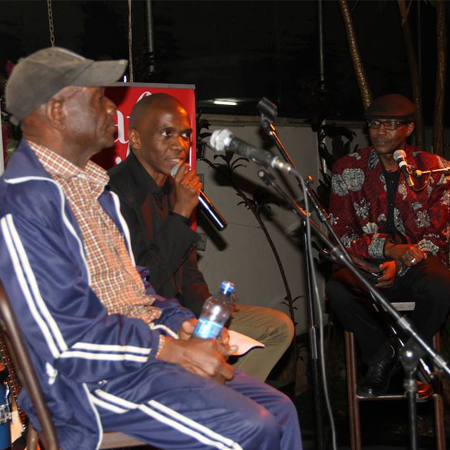 In 1973 they boarded an OTC bus to Nairobi to record. 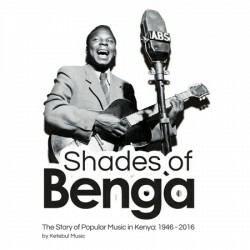 They recorded “Affaire Zua” and “Mapenzi ya Peremende” at High Fidelity studios. 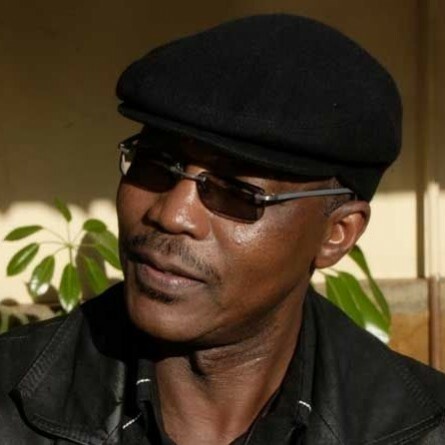 Following differences amongst the ranks, some members led by Kabila wa Kabanze Evany broke off from Orchestre Baba Nationale to form Orchestre Les Mangelepa. 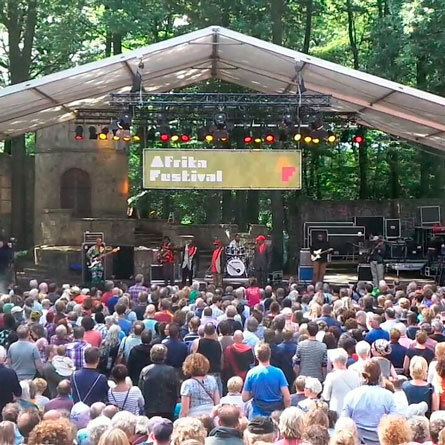 In 1979 Mangelepa landed a tour of Malawi, which resulted in their other hit “Zikomo Malawi,” a live recording. 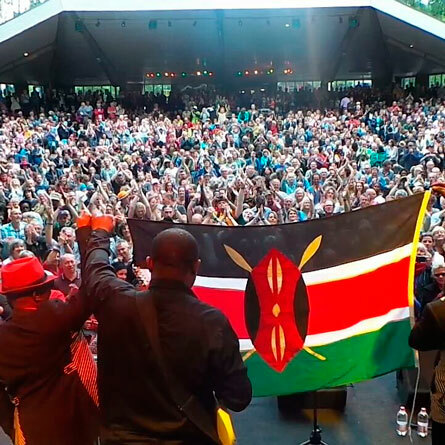 When the tour ended they returned to Garden Square in Nairobi, and continued to cut records with EMI, Tobina, Jojo Records, among other labels. 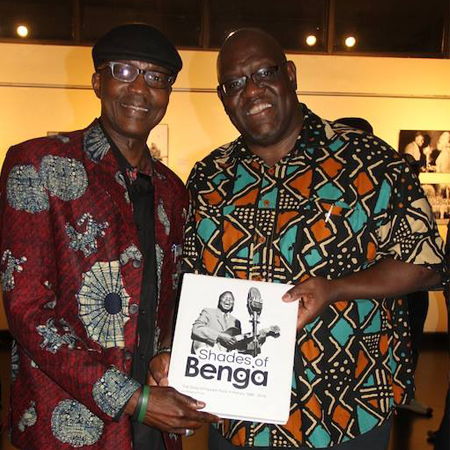 Mangelepa have since recorded Safari ya Mangelepa, Golden Voices album and the DVD, The 33rd Anniversary of Mangelepa with Sound Africa. 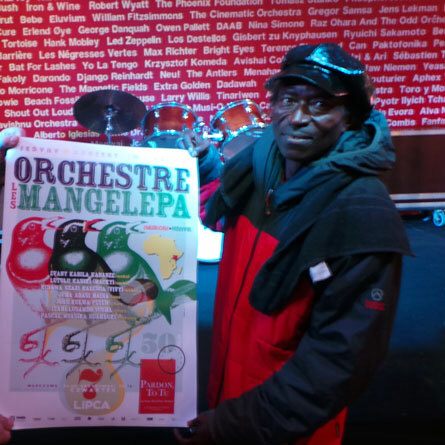 Mangelepa are truly The Last Band Standing and are one of the few bands which feature a full brass section. 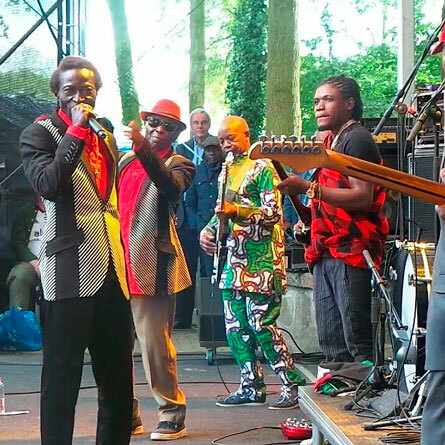 The surviving members from the original Mangelepa: Kabila wa Kabanze Evany, Nzazi Kalenga Kibawa Vivy, and Kaniki Lutulu Macky have been joined by younger crop of musicians who are keeping their legacy alive.